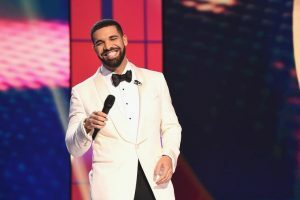 Drake Breaks Record With 42nd Week at Number One – Royal Times of Nigeria. Drake has passed his ex-girlfriend Rihanna as the most successful number one artist of the decade. The rapper’s In My Feelings has landed a third week at the top of the Billboard Hot 100 chart, giving him a total of forty-two career weeks at number one, breaking a tie with Rihanna, who has notched up 41 weeks since 2010. He also now has the most weeks at the top of the countdown in a decade, among male solo artists, beating out Usher. Meanwhile, Drake’s hit album Scorpion is still at the top of the album chart for a fourth week. Rap has ruled the U.S. chart for a record-breaking 27 consecutive weeks, with Drake hitting the top for 22 of them with In My Feelings, Nice For What and God’s Plan.